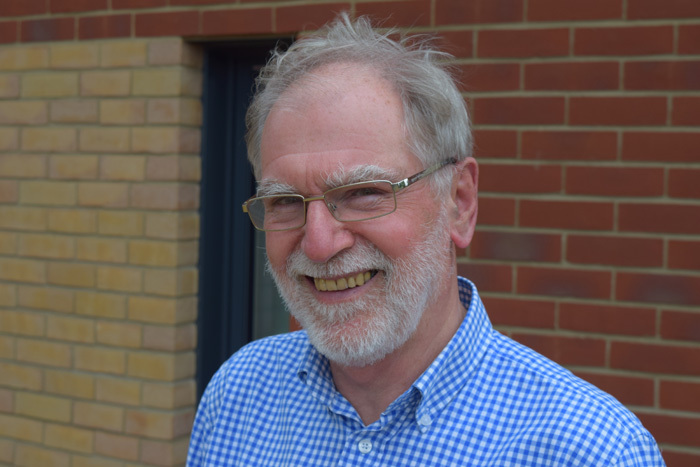 As Passivhaus Open Days return for another year, we give you the opportunity to hear our interview with Dr Wolfgang Feist from 2012. In the 70s, Dr Feist was working on how to meet the growing demand for energy in the world and found there was huge potential to use energy more efficiently rather than produce more energy. The International Passive House Institute is a research facility that influences construction by showing industry and government what can be done, helping to bring improved components to the market place, and helping affiliate organisations around the world to gain members, to gain knowledge and to make that knowledge available. The cost of energy has increased to the point that a lot of people now have problems paying their heating bills. More than 80% of the energy being used in the UK, in the EU, and worldwide comes from fossil fuels. The consequences of this – emitting carbon dioxide into the earth’s atmosphere – means we really need to change the way we use energy and reduce our carbon footprint. Passivhaus buildings are nearly zero energy buildings; their energy consumption is one tenth of that of conventional buildings. The energy you need is so low that it could be supplied by regional sources of renewable energy anywhere in the world, reducing the need to import and use fossil fuels. This is one of the reasons why the European Commission supports Passivhaus. The Passivhaus Institute produces tools for architects and engineers to make it easier for them to design such an energy efficient building. By improving the building’s envelope you reduce the typical energy losses, so that you only need a very low amount of heat or cooling to keep the temperature comfortable. The Passivhaus standard provides a universal design method for achieving a good indoor environment. Although a Passivhaus in Jakarta looks significantly different from one in Saint Petersburg (as local climate will inform the design), the method for designing these buildings is the same. The Passivhaus method doesn’t restrict the building style or type, and you can use any kind of material. 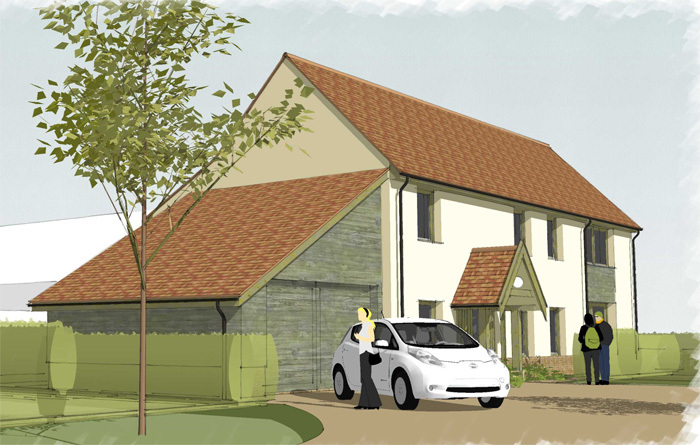 The Passivhaus Trust in the UK offer certification which provides assurance to buyers or sellers of Passivhaus buildings that they have been constructed properly and operate to the Passivhaus standard. Retrofitting of existing housing stock is harder. The key is to understand when it’s most efficient to make improvements. For example, if you have to do some maintenance to the roof, that’s the time to improve the insulation. You wouldn’t exchange a window just to save energy, you would upgrade an existing window at the end of its life. If you are going to improve a component then choose the best available because it will be 30-50 years until you do it again. According to Dr Feist, most buildings in Europe that were built between the 60s and 80s are quite easy to refurbish. Older buildings, some of which may be listed, are a bit more difficult but on-going research means there are a lot of measures that can be taken nonetheless. Dr Feist explains cost and benefits of Passivhaus, using an example component. A Passivhaus window that is triple glazed and has a well-insulated frame and airtight window might cost £380 per square metre compared to £300 for a normal window. Although this is a little more expensive, the lifecycle cost of this investment gives a better return than investing the difference in other ways. Governments can help create a tolerant environment where innovation is accepted, including offering incentives. In Italy, for example, energy efficient builders are rewarded by being allowed to build on a bigger part of the land. Dr Feist believes that distributing information on improving efficiency in new construction and in refurbishment of existing buildings is also an important role for governments. Scientifically it’s easy to improve energy efficiency, but the construction industry is very conservative. However, Dr Feist remarks that adoption of the Passivhaus standard continues apace because it’s not so different from what they have done in the past, adding, ”they can learn how to do it but they have to decide that they want to learn”. 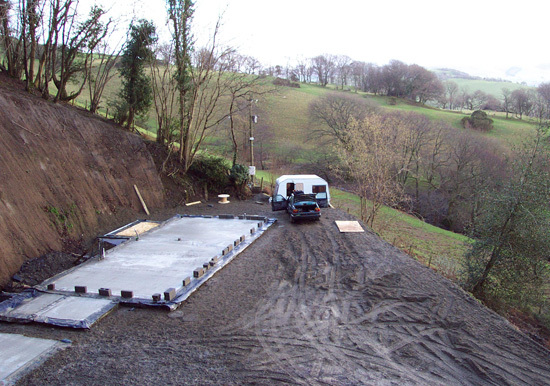 Mike is a Chartered Building Consultant with a specific interest in very low energy construction. 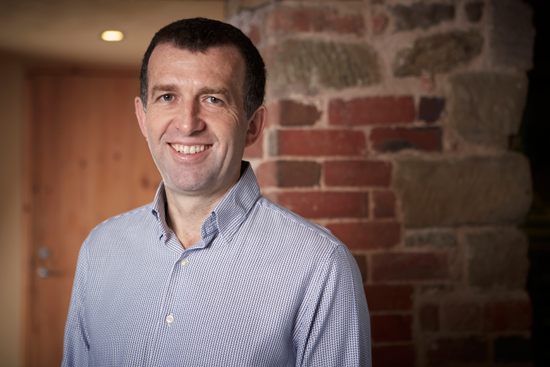 Prior to establishing Trunk, Mike led numerous design teams through early explorations of Passivhaus and Zero Carbon as a director of The Olive Green Group. When Mike provides project management services he sees his role as being the client's right hand man. He's the person who helps turn what's on paper, or something that's only an idea, into a reality. Traditionally an architect would have carried out this role. 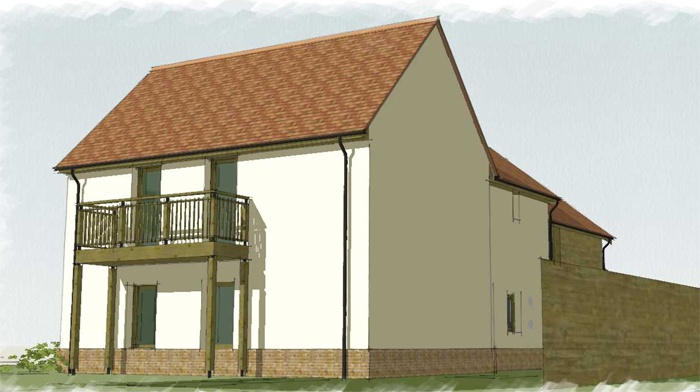 Having completed the planning work, some detailed design and produced construction drawings ready to take out to the market and tender, the architect would effectively manage and oversee the works. This is assuming that the client is paying a main contractor to build the project. This is where there is no main contractor and the client employs a whole raft of subcontractors instead. The project manager not only helps to tender the subcontracts and identify which subcontractors to use but then sets up all the individual subcontracts and of course manages the process from beginning to end. Mike explains that clients can undertake the role themselves if they deem themselves to have the necessary skills. If the client opts for a fully managed service – known as a turnkey solution – then appointing a project manager would not be necessary. However, somebody from the turnkey company would still be carrying out this function as part of the wider offering. Mike says a Huf Haus is a prime example. Mike believes that a project manager needs to be someone who's calm under pressure, has innate critical path analysis skills, a good head for numbers and is diplomatic. There will be times when a project manager needs to be brutal and tough, but also other times when a softer approach is just as essential. For those clients that decide to take on the role of project manager they should be prepared for some very long days with a certain amount of healthy stress. Anticipate writing lots of emails, making many phone calls and answering numerous queries. This is likely to be hard work. Top of Mike's list of benefits of hiring a project manager is that it allows the client to sleep a bit better at night! The client is employing somebody whose sole job and skillset is to focus on delivering the client's desired outcomes. With that should come a degree of certainty over how much will be spent and how long it’s going to take. 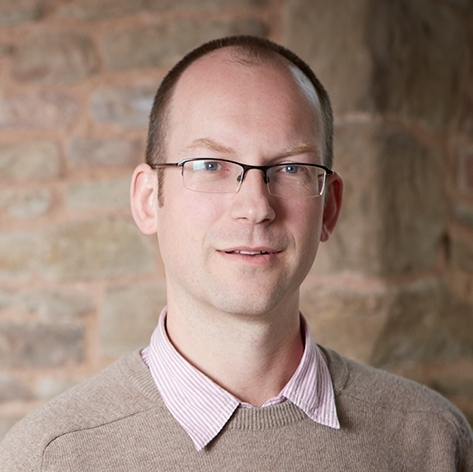 Mike specialises in delivering Passivhaus and low energy buildings. As a high performance of building envelope is imperative, that means that there is an added layer of complexity in the role. Project managing such a build is about making sure things don't start to veer off track, especially where there’s no main contractor to hold accountable. Any third party could potentially compromise airtightness, for example, unless there's a tight grip on things. The main contractor route is loaded with premiums because the contractor takes on all the risk and also adds in a certain level of profit. Therefore removing that from the equation opens up quite a big area where, over the duration of the project, it’s possible to generate savings. However, it's worth pointing out that these savings are only truly realised once the project has been completed. Mike is a chartered member of The Chartered Institute of Building. This organisation is recognised around the world and provides independent and professional accreditation that effectively says that a person is at management level in the construction industry. These people will have the letters MCIOB after their names. Get a recommendation to a project manager from somebody that has used that person before. This should be a good indication of whether they’re worth their salt or not. Always check references and previous work of any contractor or subcontractor, particularly if you've found them through adverts. 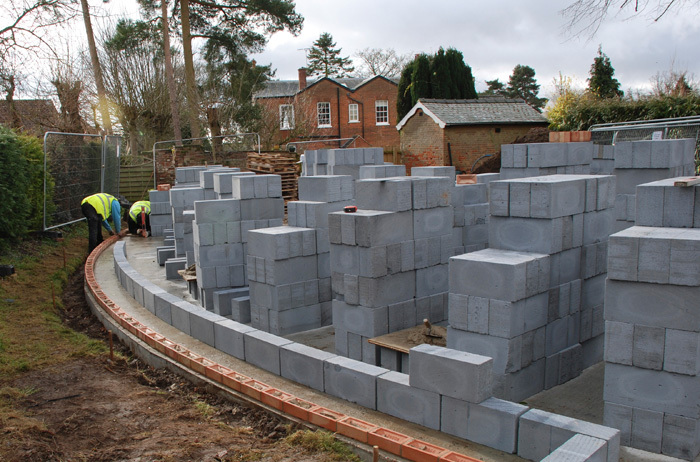 In order for people who are involved in building systems to be able to guarantee performance, there’s a lot more off-site work in modern construction – a packaged approach to building. 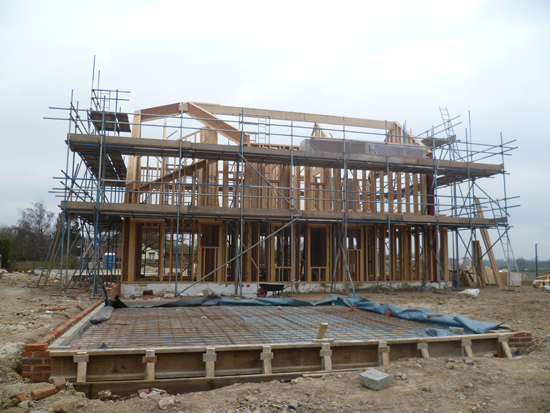 So, for example, if you chose a timber frame route, the company may well provide a guaranteed airtight shell. As this chunk of the project will be managed, if there is a main contractor involved there is likely to be a period when that main contractor is sitting around and not really doing anything. This would be a very inefficient way to spend money to get the same outcome. Beyond cost, specification and time, Mike believes that he offers some fairly qualitative things that matter to the clients as individuals. 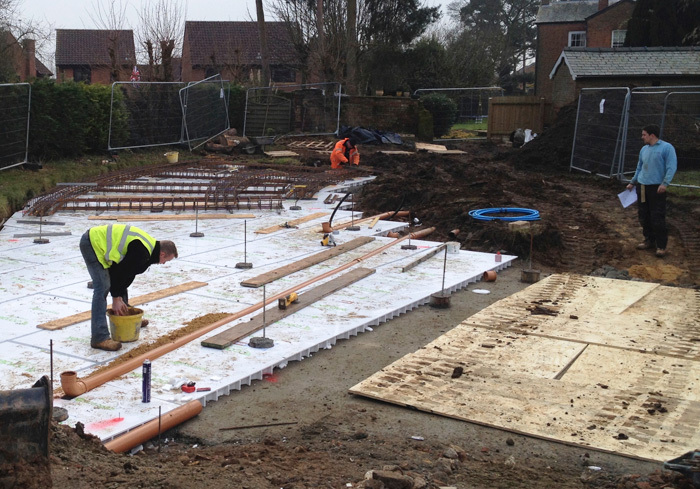 Mike explains that for some of his clients, having a positive ethos on site is very important. This informs the subcontractors that Mike may invite to tender. For example, a highly-skilled subcontractor that brings a completely negative atmosphere to site would not be a good fit for that particular project. Although there are clearly benefits of having reliable subcontractors with whom you've had first hand experience, Mike says there's also the risk creating ‘jobs for the boys'. This is particularly relevant when the project manager is working in a small geographic area. Mike always tries to find the most appropriate subcontractor, inviting new people in to tender as well. His rule of thumb is to tender to a minimum of three subcontractors or companies in order to make an impartial decision. Firstly, remember that when it comes to cost, everything is negotiable. Also, some people like to set their pay structure in a specific way. If this doesn't suit you then there may be other companies that will approach it in a way that satisfies both parties. For example, traditionally architects would base their fees on a percentage of the final build cost. This not only means that the fee fluctuates and may be more than the client originally anticipated, but that there is no incentive to try and manage costs, because actually it’s in their best interests for things to cost as much as possible! Before any work starts, the project manager will scrutinise the working budget alongside the client. The fee would then depend on what type of project management is needed. 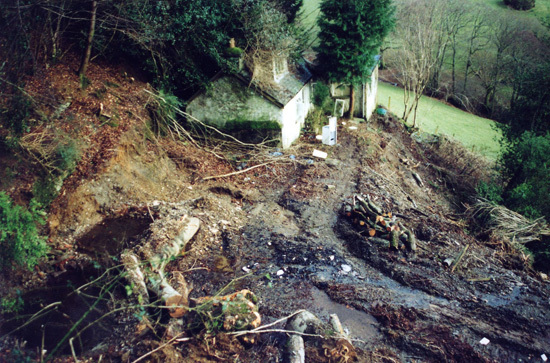 For example, going down the main contractor route will cost less. This is because managing one single contractor is likely to be easier than looking after a range of subcontractors. Mike's preferred pay structure is to use a fixed fee which is derived from a percentage of the estimated cost. Roughly speaking that would be 5% for the contract administration and 9 or 10% for the subcontractor approach. This fee is then paid in staged monthly payments. As with all key members of the team, bringing a project manager in at the beginning is a good idea. 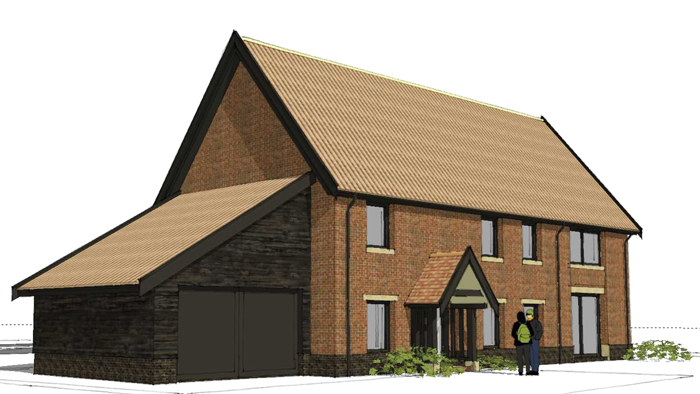 Especially where Passivhaus and low energy construction is concerned, a project manager can help the design to evolve in a way that is mindful of the physicalities of constructing it, bearing in mind how much money the client wants to spend and what the client wants to achieve at the end of it. If you define the critical path of a project early on and earmark the key milestones that are going to come up, then a well assembled, properly briefed and well functioning team can get on with it. In practice there may be other issues that arise but there's no substitute for forward planning. Mike says that it's an old cliché but while time, cost and quality are the three things that a project manager oversees, you can't actually have all three at the same time. So there’ll inevitably be a process of helping the client to understand what’s most important. For example, where there's a tight budget then cost is king and that will mean that quality might suffer as the client may have to spend less money on a kitchen in order to bring the whole thing in on budget. Trunk Low Energy Building covers much of South East England (Berkshire, Buckinghamshire, Oxfordshire, Hampshire, Surrey, Essex and Kent). 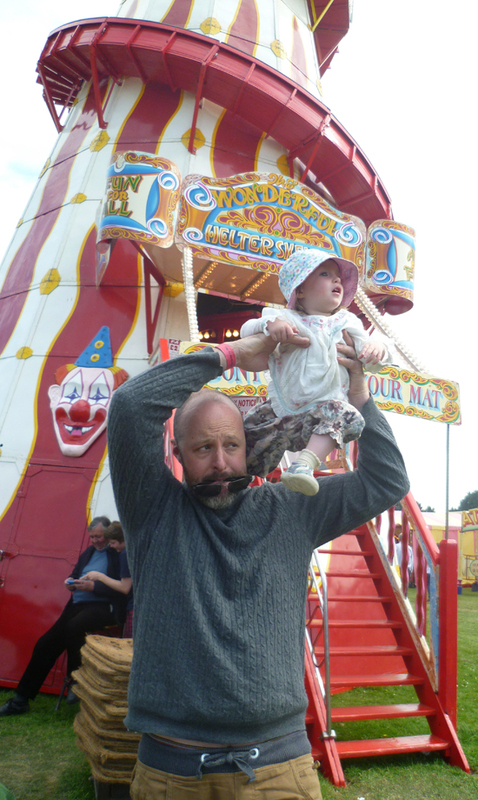 Ben talks about going to this year's AECB Conference and how there were many interesting sessions (as well as the usual networking opportunities). Find out more about the high calibre of speakers at this year's AECB Conference. Hattie Hartman, Sustainability Editor of the Architect's Journal was the keynote speaker and Ben was impressed by her commitment to better building. Check out her blog. The AECB is the Association for Environmentally Conscious Builders. Its sizeable membership includes many pioneers and the whole organisation is built upon sharing knowledge of what works and what does not. Find out more about becoming a member. They do a great student rate if you're just out of university and heading into the world of construction! 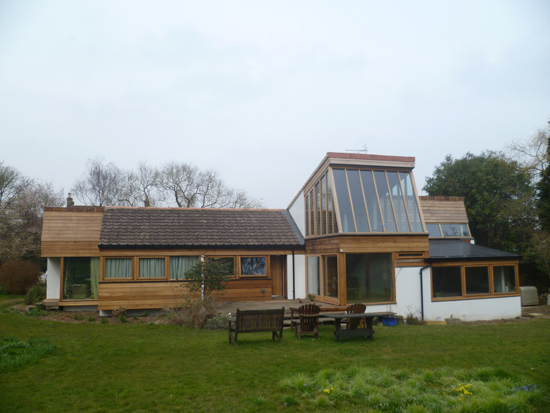 Congratulations to the winners of the UK Passivhaus Awards. 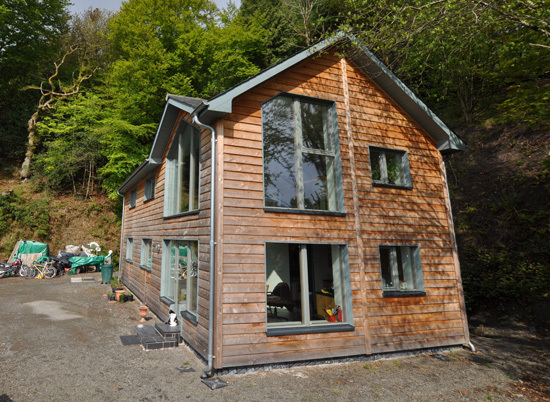 Totnes Passivhaus won in the Private Housing category. Find out more about this retrofit by watching this 2-minute video. We also chatted to Adam Dadeby about this project in episode 5 of the House Planning Help Podcast. Lancaster Cohousing Project won in the Social/Group Housing category. 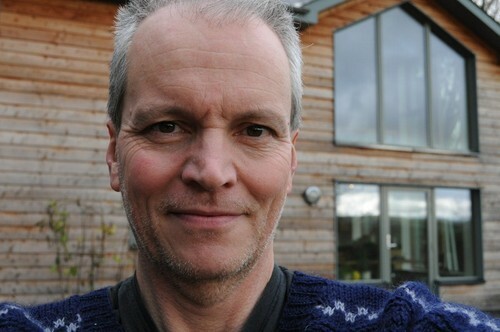 In session 28 we'll be interviewing Mark Westcombe about how Lancaster Cohousing came about. Finally Canolfan Hyddgen won in the Non Domestic category. There are more videos on all the shortlisted projects on the Passivhaus Trust's YouTube Channel. 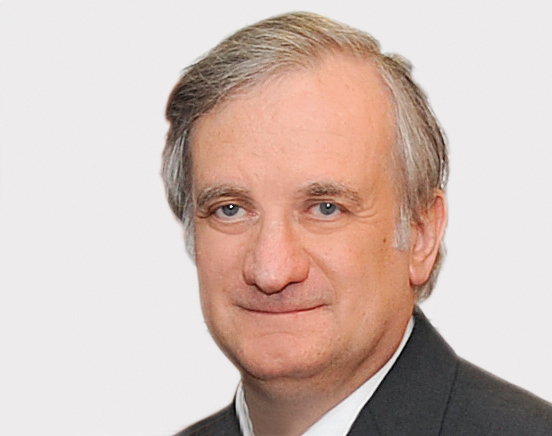 Download a transcript of the interview with Mike Jacob. Today's question for the show notes is . 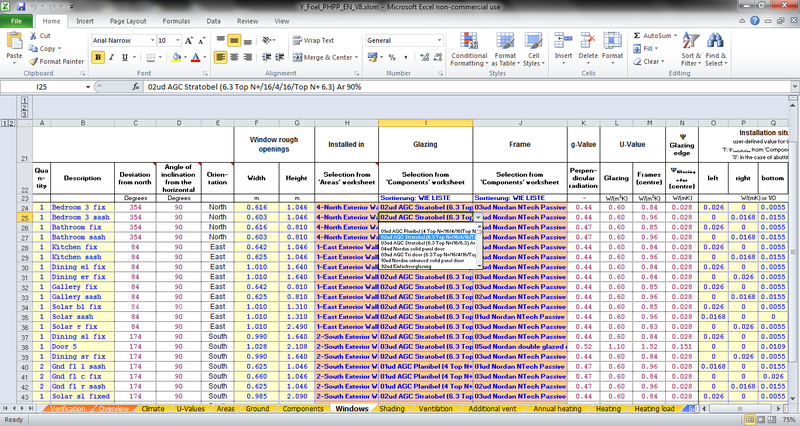 . . How are you going to project manage your house build? Elrond is originally from New Zealand, which is also where he trained as an architect, but in 1998 he moved to the UK. After working on various sustainable projects he then joined Architype in 2006 and became more aware of the Passivhaus standard. 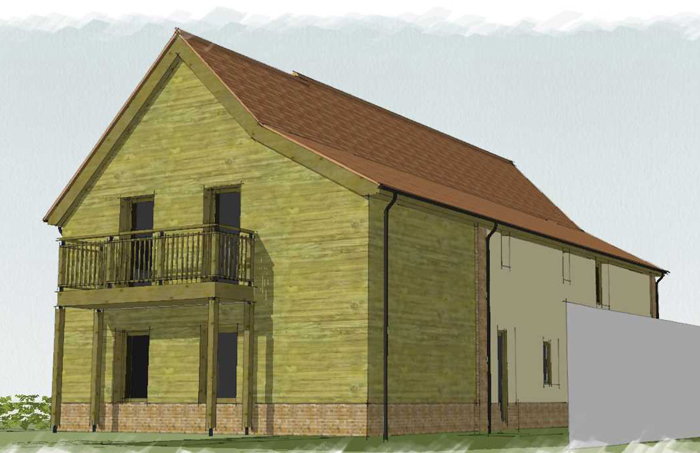 Passivhaus is a performance standard for a building that is not specific to the type of building. It was developed over 20 years ago by professors Bo Adamson and Wolfgang Feist, who were looking into why buildings didn't perform as well as they were predicted to do. By carrying out lots of careful analysis they established that in order for a building to be comfortable and energy efficient, it needs to be airtight, well insulated and have good ventilation. Elrond gives an example of two ways that you could keep your coffee warm. In the first situation there is a hotplate, where energy is continually put in so that it keeps bubbling and at temperature. In the second scenario the hot coffee is poured into a thermos flask and kept warm by screwing the lid on. Passivhaus works in the same way. Some warmth must be provided initially, be it through solar energy from the sun, occupancy heating (movement) or cooking, etc. But, by having the building built correctly and well insulated that heat is kept in so that you are not losing it. Instead of throwing out all the warm air and bringing in fresh cold air which then has to be heated, mechanical ventilation with heat recovery allows fresh air to be brought into the house and the old air to be expelled but importantly the heat is retained. This episode is slightly different from any that we've done in the past. We put out a message on Twitter asking Passivhaus builders and designers to tell us what common misconceptions they hear. Now we discuss the items that cropped up the most. This is not factually correct, because nothing heats itself. A Passivhaus needs to get the heat from somewhere, but a Passivhaus building retains the heat (as discussed above). This may be easy to buy into but in a Passivhaus there is nothing to stop you from opening the windows. Elrond says that it really depends on the time of the year and what you want as to whether you open the windows. In summer (UK) it is likely that the mechanical ventilation would not be running anyway, so natural ventilation would be important and that means opening the windows. In winter there's probably no need to open the windows because there's enough fresh air and it doesn’t feel stale or stuffy. In a traditional buildings that's why people tend to open the windows in winter because it's stuffy, which is essentially the CO2 levels getting a bit high, whereas in a Passivhaus there's constant ventilation in the background and there just would not be the need. Elrond suggests that many of the first buildings to meet the Passivhaus standard were located in Germany and Austria, and so had a continental aesthetic. As these buildings attracted a lot of publicity it is no great surprise that there is the perception that a Passivhaus will look a particular way. Also, many of the initial attempts at doing Passivhaus may have mimicked these buildings as designers were grappling with a new challenge. However, as time goes on, Elrond believes we are seeing more buildings in the local vernacular styles. 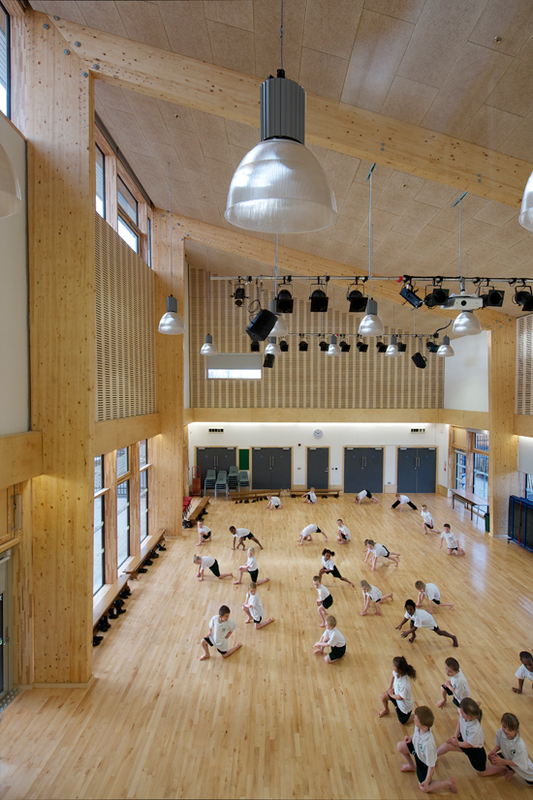 Having worked on three certified Passivhaus schools, Elrond is proud that Architype achieved a similar aesthetic to their non-Passivhaus schools. Elrond finds this one interesting because he hears the other argument, that Passivhaus doesn’t put enough emphasis on encouraging use of natural materials. At Architype they have always had an interest in using healthy materials that don't emit noxious fumes, so that there is no knock-on impact with occupants suffering from conditions such as asthma. 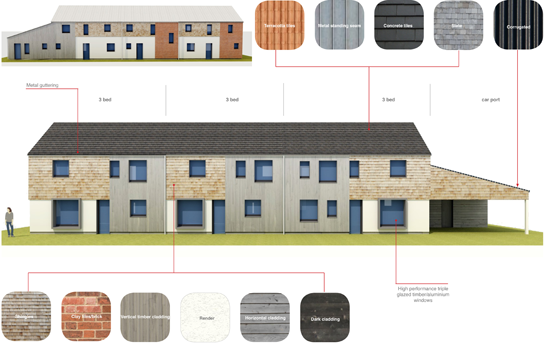 The choice of which materials to use in a Passivhaus will normally be determined by the designer or client's preference. 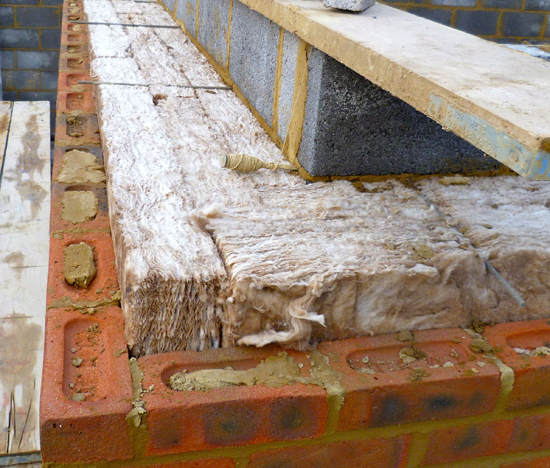 When it comes to insulation there are also complexities in balancing how much carbon might be involved in the materials, for example using polystyrene, and how much carbon is being saved due to the energy saving attributed to a good insulating material. Elrond says there’s quite a lot of published data which shows that Passivhaus buildings can cost more than non Passivhaus buildings. However, when designing a Passivhaus building it’s a quality assurance standard, so what gets built has to match what gets designed and it has to meet the appropriate standard of workmanship on site with the finishes, etc. Thus, comparing that with a building that only reaches standard building regulations (in the UK), there’s very little quality assurance that a finished building matches what was designed at the outset. This means there is an issue of comparing like for like, because if that building was constructed exactly as it was designed it would probably cost slightly more than it did. Another factor that increases cost is when existing plans are adapted to go down the Passivhaus route, which of course will add extra cost. 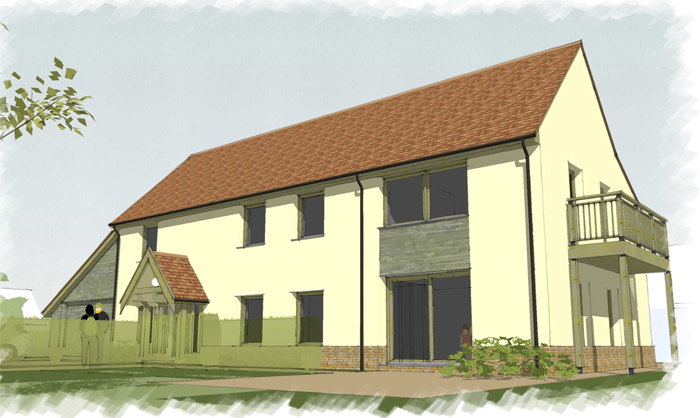 The best way to approach Passivhaus is to have it as an objective from the very beginning. Take the budget and prioritise how the money will be spent. For example, in order to meet the standard there will need to be triple glazed windows, etc. This way, once the essentials have been priced up, there will be an amount of money with which to work. The building may need to take on a simple but elegant form but it will allow the overall budget to be balanced. Elrond says that this issue is more complex than it might seem on the surface. For an in-depth answer he suggests reading a paper on Passivhaus ventilation that Mark Siddall wrote for the AECB. However, most occupants are used to living in buildings that don't perform very well and perhaps have more moisture than would be ideal (which may lead to environments that encourage mould growth and in turn can cause occupant respiratory difficulties such as asthma). 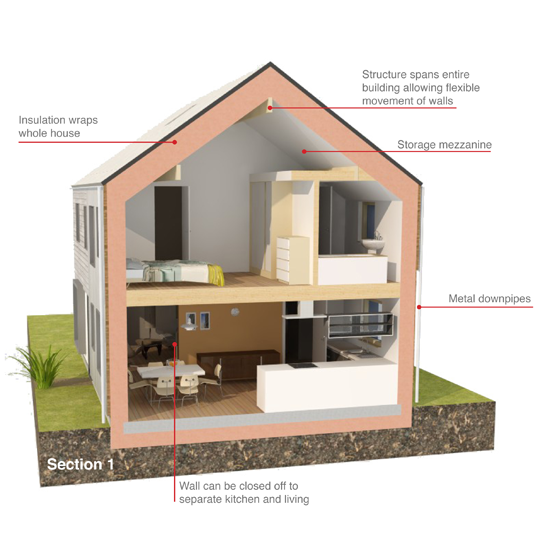 In buildings which are built right – high levels of insulation, airtight, well ventilated, etc. – the humidity will definitely be lower in certain circumstances than traditionally constructed buildings. That’s not necessarily a bad thing because a drier building will tend to be a healthier building. If things are not balanced properly or something is not quite right, then it may feel slightly drier than is comfortable. Careful design and installation should mean that noise from MVHR is not an issue. 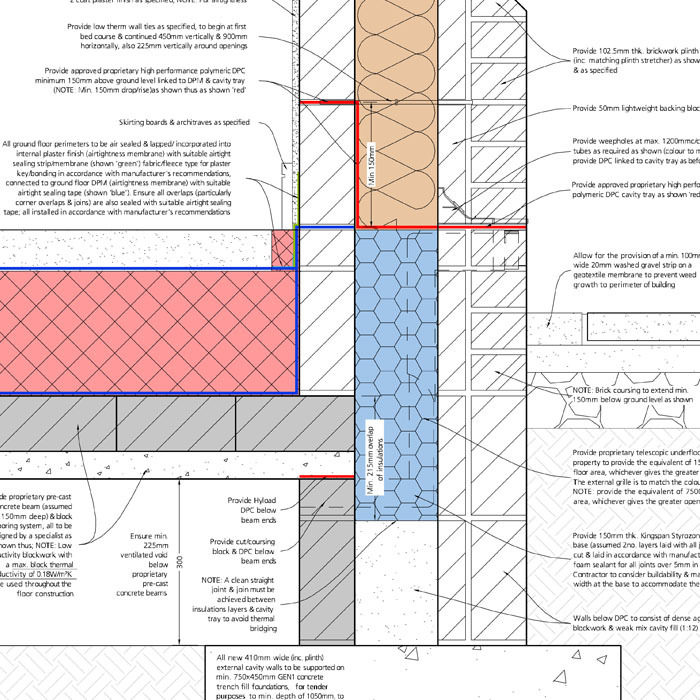 In a Passivhaus building the MVHR should be in a separate area (like plant room or cupboard) but it can even be outside the building (providing good acoustic separation). The Passivhaus standard also requires that background noise from MVHR should not be greater than the World Health Organisation‘s recommended noise levels for people to sleep comfortably. It's also worth noting that the fans are running at an incredibly low speed so there should be very little noise coming from them. Where there might be the possibility of sound travelling through the ducts from one room to another, there needs to be acoustic attenuation built in, which will eliminate the problem. Clearly when you move from a house without MVHR to one that does have MVHR, there is a new cost to pay. However, as discussed earlier, it is often difficult to compare like for like between a Passivhaus and a non Passivhaus. But, so long as the airtightness of the building reaches a certain level (approximately 1.5 air changes per hour), it's been proven that the amount of energy saved and the cost of that energy saving is much greater than the cost of running the MVHR. Elrond quickly shoots this one down by saying that at Architype they design their buildings to use natural ventilation in the summer and MVHR just for the winter months. It should be easy to tell when to switch off the MVHR. When opening the window, if it feels dramatically colder outside than indoors then a lot of heat energy is being lost and there's also a cold draught coming in. This would be when you would want the MVHR to be on. Alternatively, when opening the window if the fresh air coming in feels comfortable and there's no cold draught, then probably you don’t need to have the MVHR running. Elrond argues that this is a myth because the controls are simple to understand with a small amount of training. Most people can operate a boiler, switching off the heating for the summer, for example. Mechanical ventilation is no more taxing. This is more a case of there's no need to have a woodburner in a Passivhaus. People often desire them for emotive reasons because it’s nice to sit around a fire or to feel heat emanating from something. 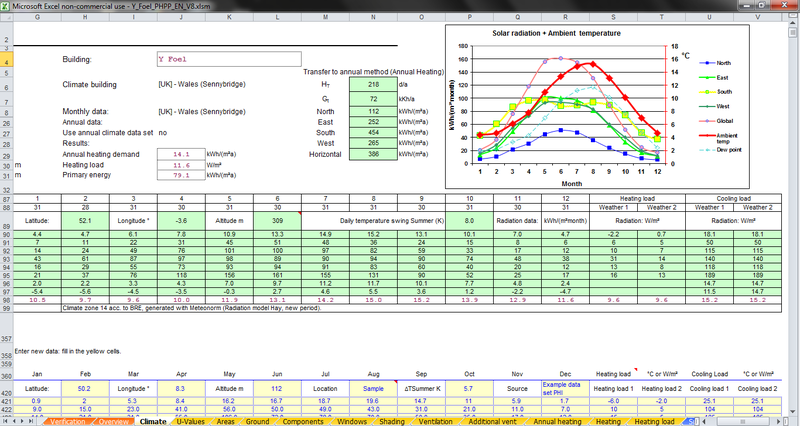 Passivhaus does optimise the solar gain so as to make the most useful benefit of the heat from the sun. With a small building on a site that gets little sunlight it would be more of a challenge and would really have to be addressed on a specific case by case basis as to whether it was viable or not. As a building gets bigger the parameters change slightly. Elrond uses Architype's schools as an example. Having more people in a building means there's more heat energy being generated and so there's less of a need for using heat from the sun. Elrond wonders whether there might be some confusion in the word Passivhaus (or passive house). One of the reasons the German word is the preferred form is that the literal translation of ‘haus' means building. In other words a Passivhaus can be any type of building. Elrond is All Over Twitter! Download a transcript of the interview with Elrond Burrell. 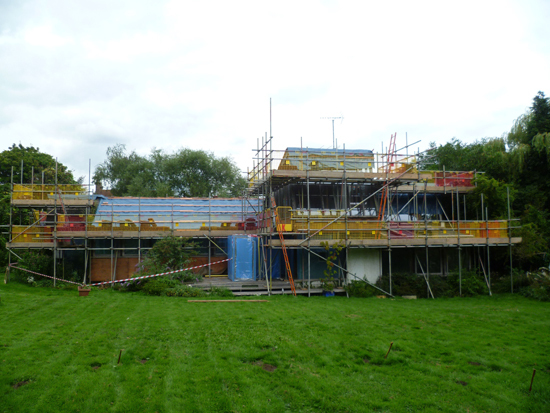 • Crossway, Hawkes Architecture Ltd.
• Totnes Passivhaus, Passivhaus Homes Ltd.
Ben also has more good news. 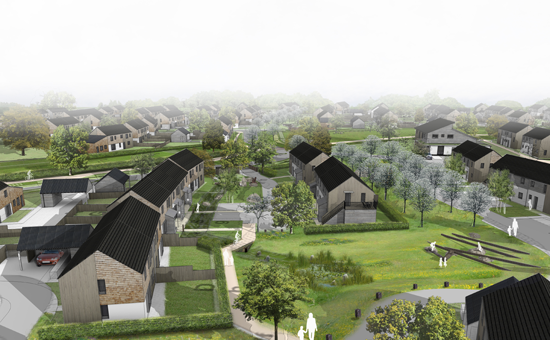 In episode 24 he interviewed Jonathan Hines about ArchiHaus and Architype‘s proposal to build 150 houses in Kingstone. Well, not long after the episode was published they received the go-ahead! 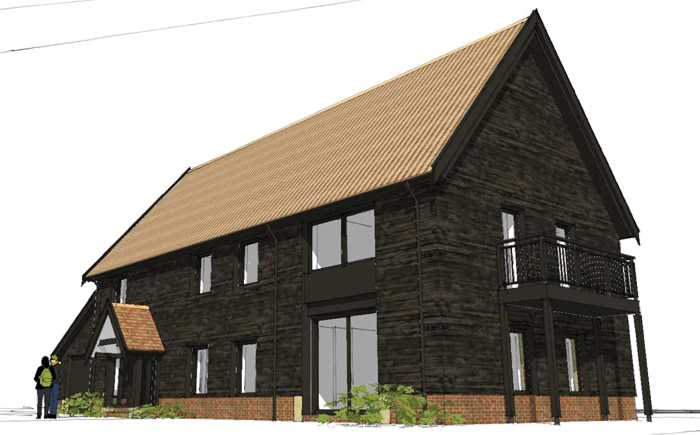 On the day this podcast was published the development – in conjunction with ArchiHaus – was granted planning approval! N.B. Our interview with Jonathan was recorded on 20th March 2013. Jonathan has been a director of Architype since 1989 and his life-long focus has been on achieving sustainability through design. Jonathan explains that Architype's approach has always been to try and keep buildings simpler in order to make better spaces and achieve higher standards of energy efficiency. Whereas many architects encourage complexity and engineers look to technology for solutions, an eco-minimalistic approach is about making buildings as simple as they can be. Jonathan stresses that this does not mean boring. At Architype they want to make their designs elegantly simple as well as radically sustainable. It's about simplifying things down to what works best and letting the buildings to do all the hard work in terms of being at one with the environment. Far from being the easy route, making a building simple takes longer. It is a process of continually reviewing the designs and questioning if they are simple enough. Are there elements that can be taken out to make the building work better? Jonathan mentions Architype's early days of Segal Self Build. This was a system of construction, devised by Walter Segal, that was all about paring down construction to the basic elements and keeping it simple in order that people could self-build it themselves. Architype's roots have always been in understanding simple detailing and keeping the form of the building functional but also beautiful. Jonathan believes that people have a higher aspiration for comfort in their homes than they did 50 years ago. Regulations also demand greater efficiency and year by year there is increased awareness about the wider sustainability of materials. 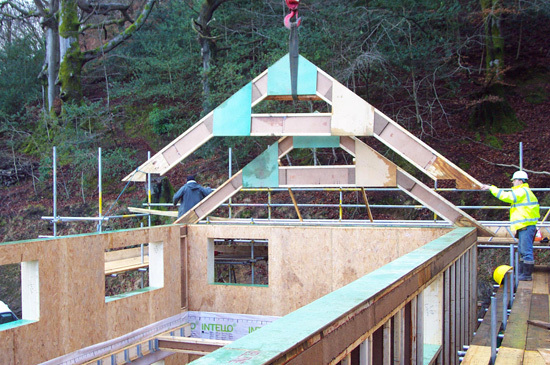 As one of the early adopters of the Passivhaus Standard in the UK, Jonathan says that it offered a logical framework to do what they were tending to do anyway. Instead of being guided by intuitive assumptions it provided rigorous analysis, discipline and a quality assurance process in terms of design and construction. It is a tool that actually helps them to achieve things. Jonathan explains that Passivhaus can be applied to any type of building. People sometimes get confused by the word ‘haus' and think it must only apply to houses, but its translation from German means ‘building'. Amongst Architype's Passivhaus projects are four schools, a major research building for the University of East Anglia, a church in Sheffield and an Archives and Records Office in Herefordshire. In Germany people are doing Passivhaus fire-stations, hotels, hospitals, etc. If you think a project is going to cost more then the chances are it will! 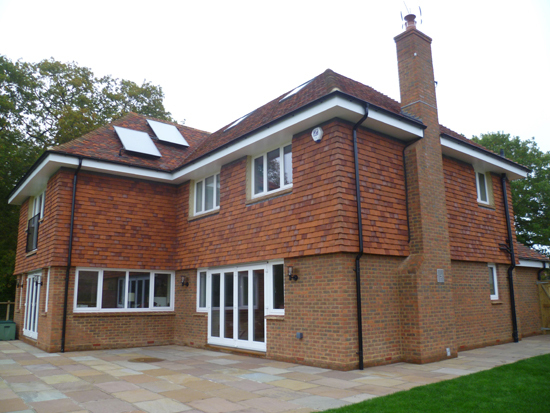 Architype has always delivered sustainable buildings within tight and standard budgets. 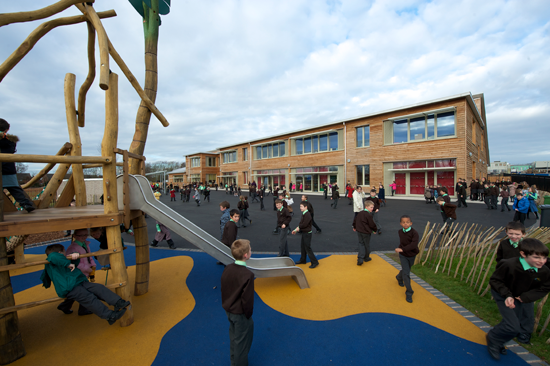 Jonathan gives the example of the UK's first BREEAM ‘Excellent’ primary school (for Wolverhampton City Council) which was created with no extra budget. It was achieved by keeping the form of the building simple, the section simple, the detailing simple, the window arrangement simple and so on. With the exception of one or two smaller scale developers Jonathan believes most big house developers aren’t particularly interested in improving design quality nor sustainability because they can sell what they produce already (as there's little choice in the market). While a lot of construction in the UK is still done brick by brick, for many years Sweden have been building their houses in factories. It offers many advantages including driving up the quality of the finished product and minimising the amount of time needed on site. In partnership with retired Swedish businessman Lars Carlsson, Jonathan has set up a new company called ArchiHaus which aims to bring UK house building into the 21st Century. 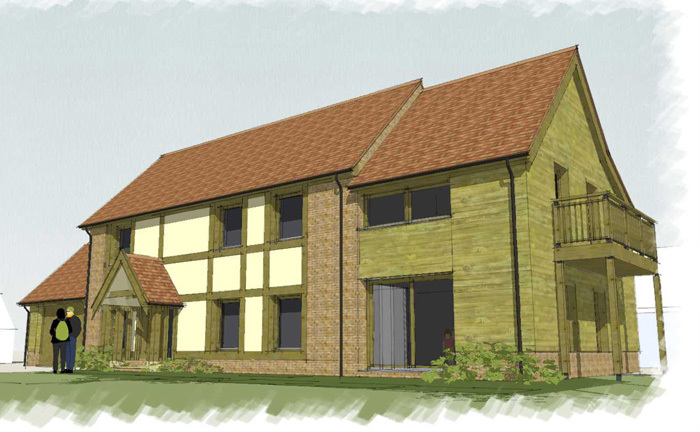 From first principles all houses will be optimised for Passivhaus, including the site layout. Then the houses will be prefabricated in a new house factory that ArchiHaus intends to establish. 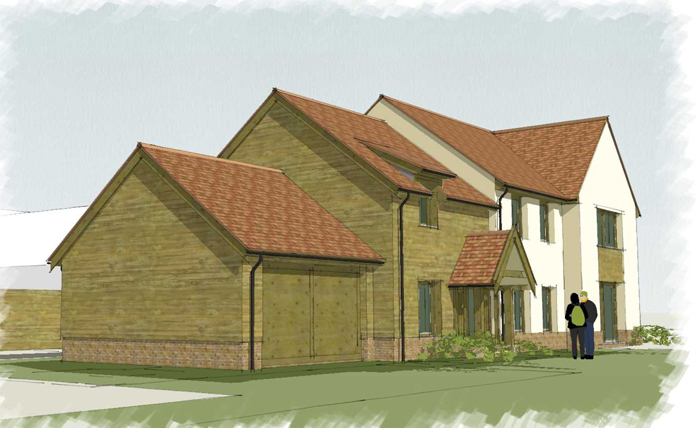 Jonathan talks about this new development in a part rural Herefordshire, where there is a big housing need but where it's challenging to find appropriate sites. He thinks people generally don't like new houses because what is on offer is high density, suburban, poor quality and not appropriate for a rural site. 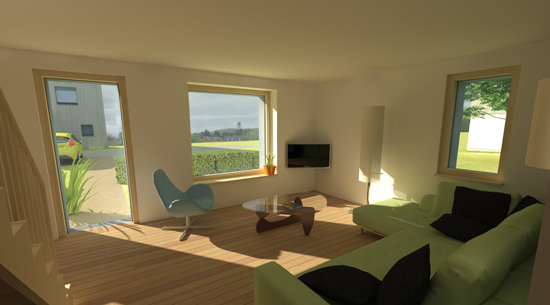 Their approach aims not only to be Passivhaus but also higher quality in terms of design of buildings and landscape. After doing a study of typical Herefordshire vernacular architecture and the character of the Herefordshire landscape, Jonathan describes how they then set out to reinterpret that in a modern contemporary way. Instead of creating a suburban character site with wide roads, kerbs, pavements, fences and parking spaces etc. 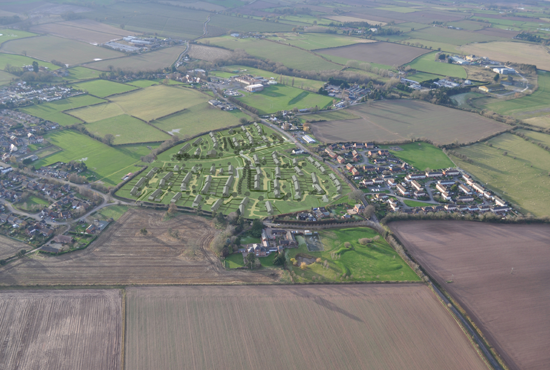 they designed a layout of lower density, with lanes that wind through a landscape of hedgerows, swales, ditches and orchards. 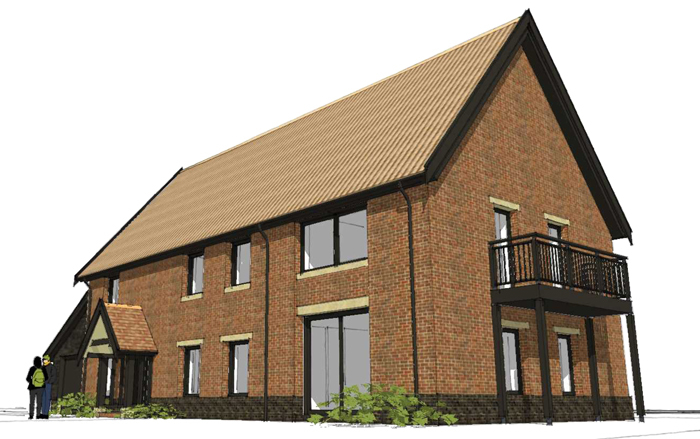 This will make it feel completely different to a normal housing development. 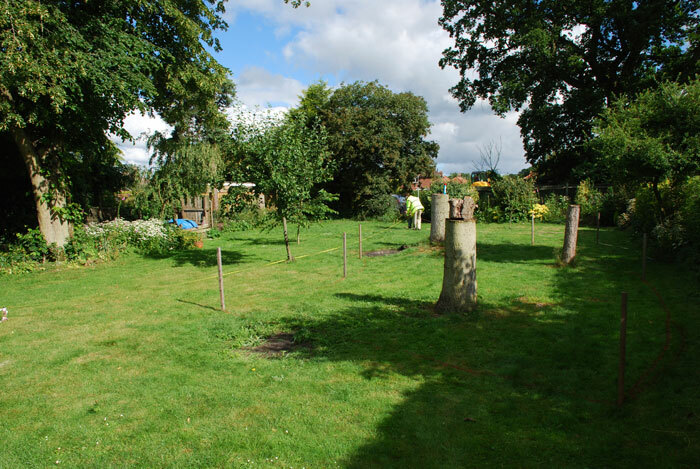 It’s also got generous areas of shared open space and allotments areas for food growing. A typical vernacular building in Herefordshire tends to be shallow in depth, wide in frontage and with a roof running along the length. On the other hand most developer houses seem to be narrow in width and deep in plan, which means there is far less daylight getting into the depth of the house. After conducting a Passivhaus analysis it became clear that the best approach was with a slightly wider house that gets more solar gain and better daylight. Jonathan remarks that the traditional vernacular form and the Passivhaus optimised shape actually have a very strong synergy. He doesn't find this surprising because old vernacular houses were built to maximise their relationship to the environment. 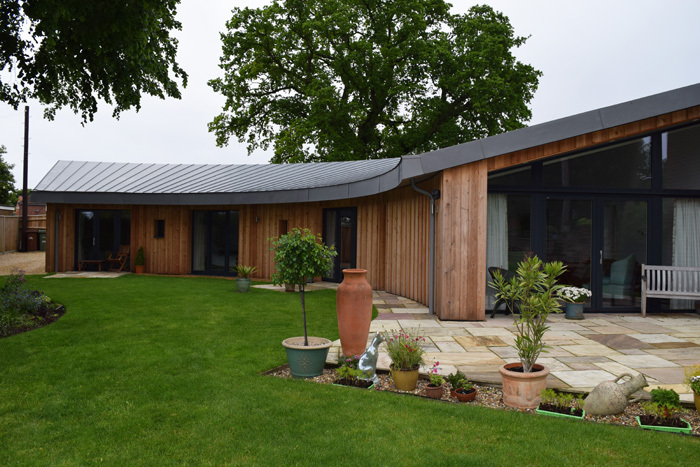 Contrary to the perception that comes through many house developers, Jonathan's experience with self build clients is that they tend to like airy spaces, slightly higher ceilings and a more open plan feel, with modern materials and modern detailing. Through programmes like Grand Designs he thinks that people have increased their awareness of what design quality actually is. Throughout Architype's nearly 30 years of practice they have always been exploring new ways of doing things, from trying to find more sustainable ways of building and constructing, ways to save energy to looking at different materials that can be used to create more beautiful buildings. This drive for better buildings has attracted people who are personally committed to sustainability and design quality and actually believe in the ability of design to do that. Jonathan explains that over the years they have tried out lots of different materials. Some worked well, others were more difficult or appropriate only in certain situations. Now they have honed a fairly robust palette of what they’re confident are renewable and sustainable materials. This includes timber, insulation made from recycled newspaper, a range of mineral and organic paints and stains, and floor finishes in lino and rubber. The Kingstone development does not encompass any renewables and Ben asks Jonathan whether that was intentional. Jonathan replies that well designed buildings are really good instruments for saving energy. He does not consider them particularly good generators of energy. For example, photovoltaic panels are often perched in funny places behind chimneys or facing east-west or even north sometimes. This is because people have managed to get a grant or have got a feed-in tariff and they’ll get some return on it. If the imperative is to save carbon across the whole world, then every panel that's put up now should be in the most optimum position available. Jonathan would much rather see solar arrays on the ground in fields, where they can be cleaned and maintained properly. If there's a separate inverter in 5000 houses, when something goes wrong the householder is probably not going to fix it. On a community scale or even at a regional scale renewable energy starts to make sense. Similarly with wind energy, big wind turbines in the North Sea are preferable to little ones perched on buildings, which don’t go round. Jonathan compares energy to rubbish – it’s good to recycle rubbish but it’s much better not to create it in the first place. So with energy it’s good to have renewable energy but first to use less of it. Download a transcript of the interview with Jonathan Hines. After the success of our first Google+ Hangout, we are organising our next debate on the topic of housing density. Should we focus our efforts on building high or low density housing? If you have strong views on this subject and are already signed up to Google+ we'd love to hear from you. We are in the process of putting together a panel. This August the House Planning Help website will be celebrating its first birthday. I feel I have learnt a massive amount over the last 10 months – thanks to everyone who's contributed – but I look forward to all that lies ahead. Whilst I have interviewed a whole host of experts and begun to understand the theory, I have not put on my wellies, got fresh air into my lungs and trawled around many construction sites to see how it works in practice. I've also produced lots of content for the website and podcast, and largely neglected video (despite having the know-how and facilities). So, I have an idea that's looking to change all that. It's in its infancy, yes, but I wanted to explain it to you here. I want to provide a series of videos chronicling a low energy build from start to finish. These videos will aim to shed light on the process at every stage of the way. They'll be short but regular. For example, releasing two or three per week during the build. It's not so much Grand Designs drama as covering the jobs that have to be done and trying to understand why they are being done. Where does all the money go? I'll be asking questions every step of the way. I would like this to inform, inspire and create interaction online. This would be content for potential clients of ultra low energy projects, people who are hungry to learn as much as they can before they do it for real. It may also be interesting for people in the trade who have not changed their practices yet and might be inquisitive as to what is happening in the industry. 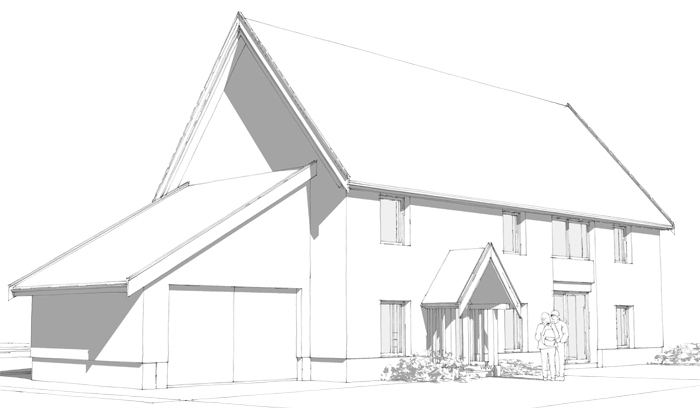 Ideally I would like to follow a project that is being certified to Passivhaus standard. Why? Well, I have not yet found anything else that gets to the same high standards, both in terms of energy efficiency and comfort. Plus, it's an approach that seems to be rising in popularity and I think people want to find out more. There must be lots of reasons I could add here. 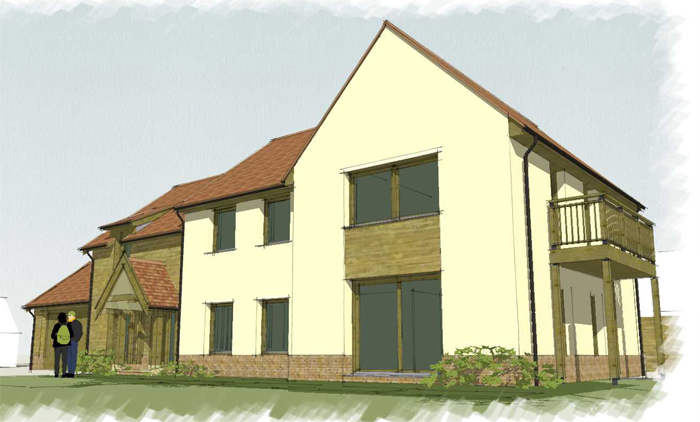 A second best would be to feature a house that would meet the Passivhaus standard but is not going to be certified. I certainly hope to provide a similar resource when I do my own house build or retrofit, but in the meantime I'd like to create this content in the near future. 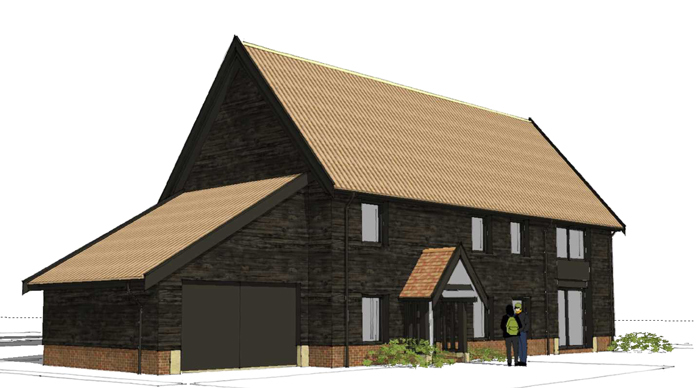 That means finding a Passivhaus project that is close to me (the closer to Hertford the better) where the self builders will happily provide access to film, in the knowledge that this is going online. There would need to be buy-in from the various tradespeople, too. Of course, it will be a great marketing opportunity for any of the companies that are featured. This is a learning exercise. The benefits for a self builder are two fold. It helps get this material to a wider audience, which could bring with it greater understanding. Secondly, it will provide an unrivalled chronicle of the work that's taking place, free of charge. The reason I haven't done as much video as I would have liked for the House Planning Help YouTube channel is because good quality video requires resources. As my time is limited I have to prioritise projects for my production company over content I want to make. If this material is going to be free for anyone to access, as I hope, it's going to need funding. So, how do we get this money? Good question. The answer is crowdfunding. If you're new to the concept of crowdfunding, it's really about individuals supporting the efforts of others by pooling money to achieve an objective. In my case, for example, the goal would be to produce a certain number of videos over the course of the build. I might set a funding target of £25,000 and there would be a deadline of when I must achieve this. If people like my project then they pledge money to make it happen. The sum is up to the individual – large or small – and the project only gets the go-ahead if the target is reached. Find out more about how Kickstarter works. So, the worst case scenario is that it doesn't happen, but I believe this is important enough content that people would want to see it get made. In fact last year Faith Morgan produced a documentary called Passive House: A Building Revolution by this means. 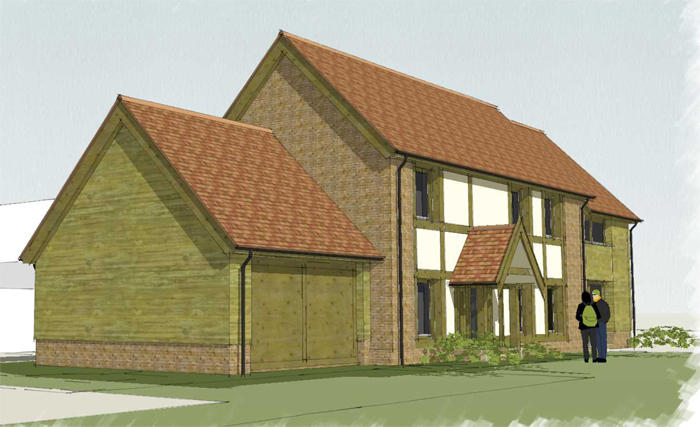 The first step in making this happen is to find the right house build and, okay, this is only really relevant to you if you are about to embark on a project in South East England. If I have just described you or you know of somebody who might be able to help, please get in touch. The second part is to find the people who want to see this content produced. No matter what your contribution might be, if you think you could support this, then please leave me your email address so I can keep you up to date with this project. There will be very little correspondence mailed to you but when the time comes we would love to count on you. Thank you in advance. Do you wonder why others aren't focussed on getting themselves into an energy efficient home? What factors undermine the logical drive for energy efficiency? At this time it's crucial that we do not make the wrong decisions when it comes to building or retrofitting houses. Whilst on holiday I happened to bump into some people who worked in the shale gas industry. They were very pleasant but, as with the bloke down the pub who I discovered had voted UKIP the other day, there was a slight tension when I started asking more in-depth questions. To be honest they allayed many of my fears, but perhaps armed with more knowledge myself I could have dug deeper. Anyway, one aspect that became very apparent from the conversations was that they did not see themselves as having any responsibility in making sure that the energy they extracted goes as far as it possibly can. I know this probably isn't part of their job description but for some reason I found it unsettling. It got me thinking as to some of the factors that might be slowing down the roll out of energy efficient homes. Although energy efficiency makes sense, it's amazing how quickly it can fall down the list of priorities when cheap energy is plentiful. When I initially started my research, I was unaware of the energy crisis of the 1970s and the subsequent drive for better housing in the 1980s. Unfortunately, despite many solutions being exhibited at trade shows such as Homeworld, none of the energy efficient designs made it into the mainstream. In our current predicament of depleting fossil fuel reserves it would seem very unlikely that the cost of energy could go down, but if the extraction of shale gas leads to another ‘oil rush' then it could happen. The worst case scenario would be if subsidies were given to these companies in a desperate bid to keep the energy coming rather than address the efficiency of our building stock. Companies that make a living from the extraction of coal, gas, oil, etc., are ultimately going to be out of business on this planet. It may take 500 years, 200 years or happen much sooner than we all imagine, but these finite resources will eventually run out (and we also know some of them can't be used anyway without triggering the final disastrous consequences of climate change). For a very lucrative business, they will not take this lying down. As experts in locating and extracting resources, with considerable funding behind them, don't expect them to wind down their activities, even if that might be what's best. Governments, more than ever, have a big role to play in driving up the standards of our homes. Clearly this can't happen overnight but with an over-arching goal and an incremental approach, at least things will be moving in the right direction. Of course, this is often easier said than done. In the UK, the Code for Sustainable Homes was such regulation, with the long term plan to make all homes zero carbon by 2016. Unfortunately it's falling on some rocky ground as its box ticking approach seems to favour bolt-on gadgets over fabric efficiency. This is where the government's contemplating scrapping it and clinging onto the positive spin of ‘cutting the red tape to get the UK building again'. Simplification of systems is a good thing but I personally believe getting rid of targets and moving deadlines is not a good solution. Of course, the Code needs an overhaul though! While simple measures (such as installing loft insulation) can help our homes perform better, more radical retrofits are invasive. Whether insulating externally or internally there is likely to be loss of features, which can be hard for some homeowners to accept. Plus the more airtight the building becomes, the more important it is to have a clear ventilation strategy. With no straightforward solutions it's easy to favour new build or consider retrofitting the property at a later date when better approaches might be available. For some homeowners it will be a lack of finances that stops them from upgrading to something more efficient. For others it could be the thought of living for the day – who cares about the right or sensible thing to do when they can have their dream kitchen! House appearance may also play a part in the psyche, deterring some individuals who imagine energy efficient homes only to be rather ugly boxes. For those who live in a reasonable size of house and are feeling the pinch, the most immediate way to reduce running costs is to move into a smaller house. This helps the individual but doesn't address the overall problem of rising utility bills. It could also lead to a period where a lot of larger houses become vacant or are only partially heated during the colder months. What classes as an energy efficient home to one person might be laughable to another. As with labels such as ‘eco' or ‘sustainable' or ‘low energy' homes, it's all about quantifying what these things are before they become the buzzword of the day. That's one reason that an as-built standard such a Passivhaus makes life much simpler: you can immediately tell whether a house hits the mark. What do you think is slowing down progress to energy efficient homes? Is there anything you'd like to add to the list?